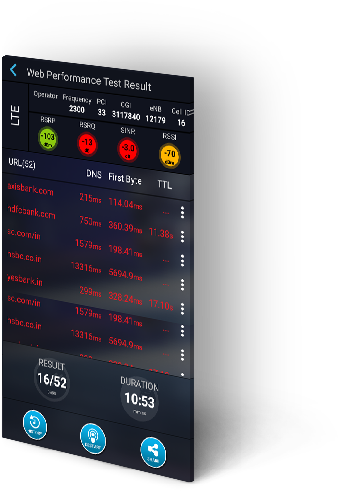 Single tap functionality which provides end-user to conduct speed test, and measure and analyze the network conditions. It runs throughput test to measure upload/download speeds, latency and jitter providing an overall network health index. Captures customer data and allows the customers to report their network issues with ease. It bridges the gap between operators and customers leveraging machine learning capabilities. Allows automated massive capturing of end user’s coverage experience data, and event-based network KPI summary through crowdsourcing. It also facilitates in analyzing this data on the basis of the specific set of devices, geography, etc. Enables end-users and telecom operators to assess key streaming metrics of YouTube videos. This feature captures the overall buffer time of the video along with real-time throughput. IP Tools analyzes the internet connectivity and detects network issues. Web Performance Test analyzes the network connection by measuring response time, total DNS time, TTL and TTBP. Monitors the signal strength, channel graph, and channel interference of all the available Wi-Fi networks. 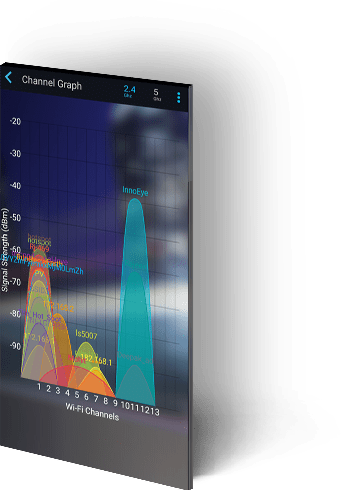 It displays real-time performance and gives time-wise plotting of Wi-Fi channels to check the stability and consistency of the network connection. Captures advance parameter sets of network and signal which can be used to measure, visualize and analyze the network performance along with CSFB and VOLTE call stats. 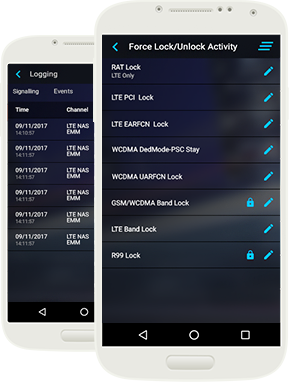 It supports locking capabilities that enable the user to capture data on a specific band, frequency or technology. Virtual assistant that can answer a range of customer questions using automated chat messages, including way to use the app and features, important information about the service provider, tariffs, monthly plans and call rates in a particular area. 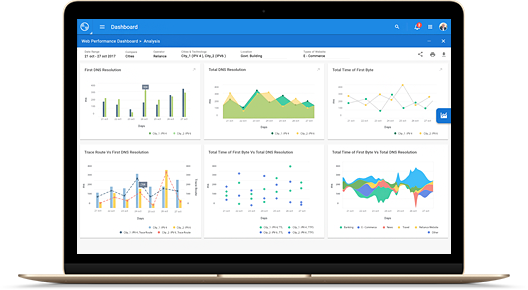 Executes ad-hoc and work order based drives on the field, captures KPI’s, and provides near real-time visualization for ongoing drive. All KPI measurements are used to generate quick reports and perform the analysis. Conducts stationary and drive test based on customizable recipe creation and execution. Provides a graphical representation of data and generates reports in near real-time. It ensures that site level KPI performance is up to the mark. Indoor testing solution to measure and analyze network within the buildings by creating and drawing floor plans and performing tasks. It conducts passive walk test and throughput tests, synchronizes data on server and generates reports. It runs network test for 2G, 3G, Wi-Fi and LTE for holistic network analysis. It supports Android and iOS. Allows managing devices by populating the List of user’s device which was captured using active test or passive monitoring. Further analytics can be performed based on unique IDs, the device make, and model. Performs automated syncing and post-processing of data and process them on the big data engine. It collects, analyzes and generates reports and provides the scope of historical data for analysis. 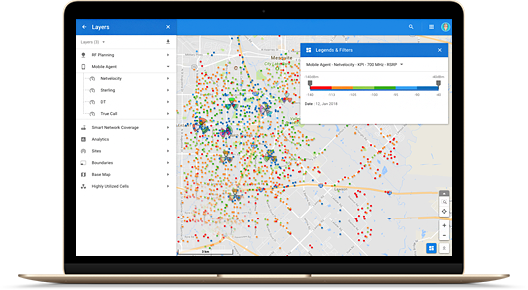 At-a-glance visualization of data in near real-time on maps in form of charts, pre-defined criterion for reports generation, automated notification and data mining capabilities including slice-and-dice. Facilitates the user to provide their feedback to the service providers about their network experience during voice call, data connectivity, and coverage performance using star ratings. Gives unparalleled value, efficiency, and scalability in network optimization by facilitating operators to detect network issues from the grass-root level. This assists in conducting monitoring and drive analytics. 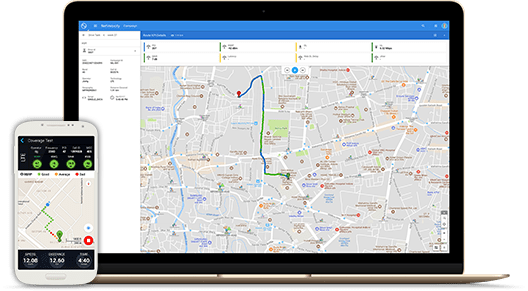 Provides a holistic overview of network performance by passively monitoring and capturing Wi-Fi, LTE, 3G and 2G network parameters, location, and network type, like device state even when the application is in the background. 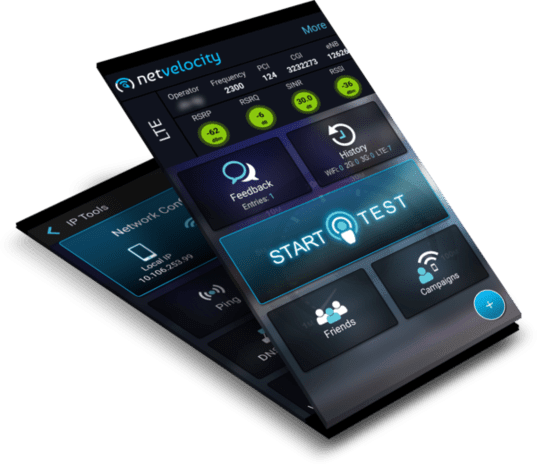 NetVelocity is a user-friendly application that enables users in finding their network performance with single tap functionality. 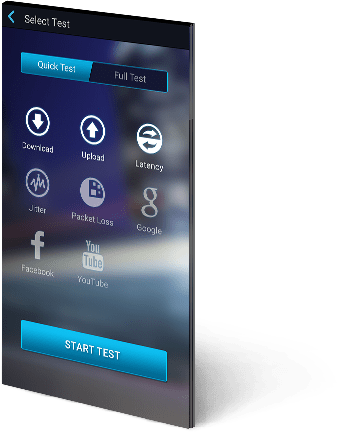 It offers the maximum convenience for speed testing and understanding the overall network health. ChatBot allows operators to provide personalized service to each user in answering network related questions and telecom services using machine learning. By analyzing customer’s previous interactions with the operator, it provides customized recommendations and solutions. Leverages user data which is collected through various network and background tests to gain 360 degree insight into customer’s network experience, facilitating operators to analyze and visualize this data on web server. Customers can share their experience in seconds with their respective network operators. The communication service provider can identify the faults, take necessary actions, and provide a solution quickly. 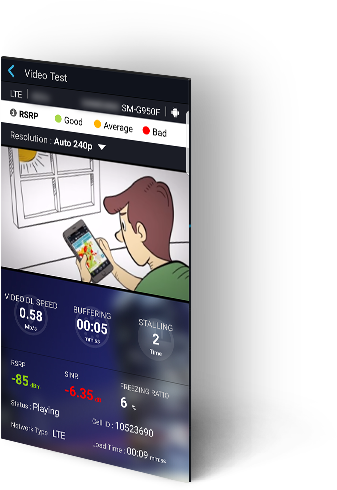 NetVelocity is a unified mobile application enabling users to gain near real-time insights of their network carrier. Gain deeper understanding of NetVelocity by browsing through its videos. 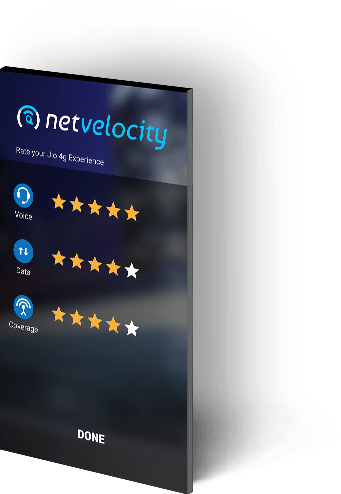 See how NetVelocity leverages users to perform various tests by measuring and analyzing their network performance by looking through its use cases. 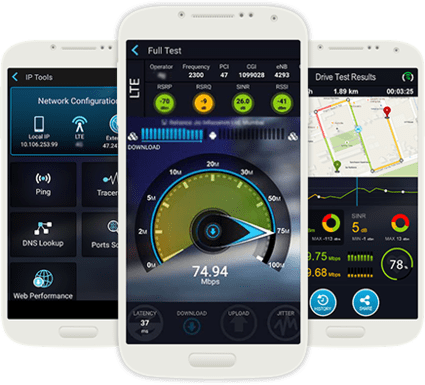 Download NetVelocity case studies to know more about the application that facilitates users to measure and analyze their network carrier performance.